The term ‘non-transmission alternative’ may sound wonky to some. But to companies that work with microgrids, distributed energy, energy efficiency and the like, it sounds like opportunity. The term refers to installing smaller, local energy technology instead of new transmission infrastracture to alleviate congestion. Several states see non-transmission alternatives as a way to avoid a hefty bill for new high-voltage lines, as high as $50 billion per year over the next two decades by some estimates. In addition, installing microgrids or solar panels in lieu of overhead wire averts battles with communities over marring scenic views. Vermont and Maine actually have laws that require energy companies evaluate the option. In California, the Hunters Point Microgrid is a non-transmission alternative. 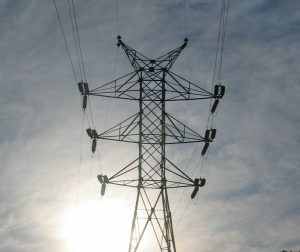 The Bonneville Power Administration also has used a form of ‘non-wires solution’ to avert construction of transmission. Other states focusing on non-transmission alternatives include Connecticut, Hawaii, Maryland, Massachusetts, Minnesota, New Jersey and New York, according to a paper, “Getting the Signals Straight: Modeling, Planning, and Implementing Non-Transmission Alternatives Study,” by the Eastern Interconnection States Planning Council. Falling prices for energy storage are helping developers make the case for non-transmission alternatives. “As distributed energy storage performance has improved, and costs have come down, it is becoming a viable solution to a wide variety of efficiency and reliability concerns on the electric grid,” said Darren Hammell, co-founder and chief strategy officer at Princeton Power Systems. Maine has been an early leader in non-transmission alternatives, particularly with its Boothbay Smart Grid Reliability Project. 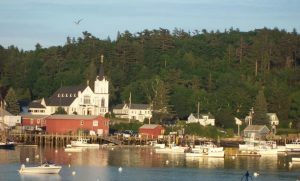 Not a microgrid, but similar in its demonstration of reliability through distributed resources, the project offers 1.7 MW that can be dispatched on the Boothbay peninsula, a summer tourist mecca located on Maine’s midcoast. The Boothbay project is particularly interesting because it manages several forms of distributed energy: energy efficiency, solar, demand response and peak shifting, back-up generation and battery energy storage. Richard Silkman, founder and co-managing partner of GridSolar, and a key player in Maine’s use of non-transmission alternatives, says the Boothbay Harbor project was the first instance in the U.S. of grid reliability being provided to a utility by a third-party. His company has been pushing the concept in Maine for several years. In April, the Boothbay project reached full strength with the addition of a 500-kW battery installed by Convergent Energy + Power, with assistance from Lockheed Martin. Princeton Power Systems contributed its latest generation of 100 kW grid-tied inverters to the project – what it describes as the world’s first UL-1741 safety standards certified commercial scale microgrid converter. When the grid was under strain, the Boothbay project was able to respond within five minutes to maintain electric grid reliability, according to a report recently submitted to the Maine Public Utilities Commission by GridSolar, which monitors and dispatches the Boothbay pilot. GridSolar says that the project cut by one-third what would have been an $18 million bill for new transmission. In all, Boothbay will save Central Maine Power ratepayers about $12 million if the project is extended into 2025, according to the company. Designed to solve a peak demand problem, the project is now operating as a pilot through March 2018. 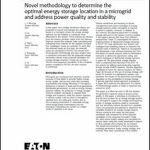 Microgrid developers can track opportunities to propose non-transmission alternatives by keeping an eye on state or utility integrated resource planning, now undertaken in 33 states, according to the Advanced Energy Economy. In most cases, the plans must be filed with state public utility commissions and often they lead to utility solicitations for resources. 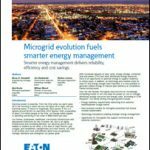 Track news about about microgrid opportunities by subscribing to the Microgrid Knowledge newsletter. It’s free.